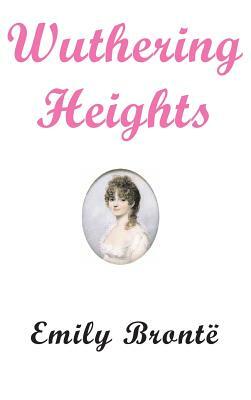 Emily Bront 's Wuthering Heights was first published in London in 1847, appearing as the first two volumes of a three-volume set that included Anne Bront 's Agnes Grey. The authors were printed as being Ellis and Acton Bell; Emily's real name didn't appear until 1850, when it was printed on the title page of an edited commercial edition. Wuthering Heights's violence and passion led the Victorian public and many early reviewers to think that it had been written by a man. According to Juliet Gardiner, "the vivid sexual passion and power of its language and imagery impressed, bewildered and appalled reviewers." Even though it received mixed reviews when it first came out, and was often condemned for its portrayal of amoral passion, the book subsequently became an English literary classic. The author was an English novelist and poet, best remembered for her only novel, Wuthering Heights, now considered a classic of English literature. Emily was the third eldest of the four surviving Bront siblings, between the youngest Anne and her brother Branwell. She wrote under the pen name Ellis Bell. Emily Bront remains a mysterious figure and a challenge to biographers because information about her is sparse, due to her solitary and reclusive nature. Her sister Charlotte remains the primary source of information about her, although as Emily's elder sister, writing publicly about her shortly after her death, According to Lucasta Miller, in her analysis of Bront biographies, her other sister Charlotte did not remain a neutral witness.